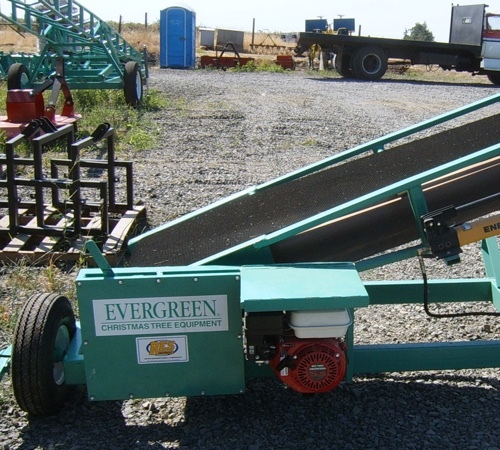 The Evergreen Light Duty Conveyor is an excellent choice for farmers, especially in small lots or in the field where easy portability is essential. 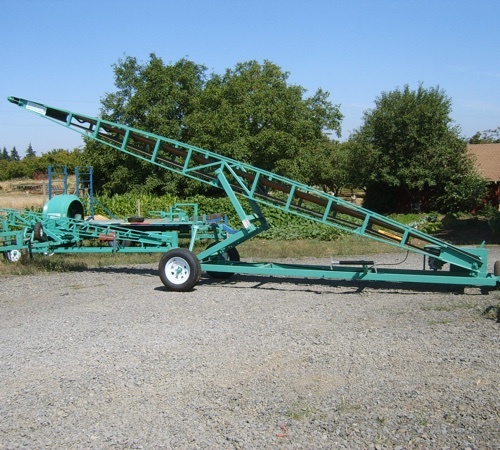 • 30 foot long, extends 15′ into back of van or over the top for flat-bed loading. • 5.5 hp Honda powered. • Third, steer able wheel on the front for one person portability. Additional option availability may be discussed with manufacturer. 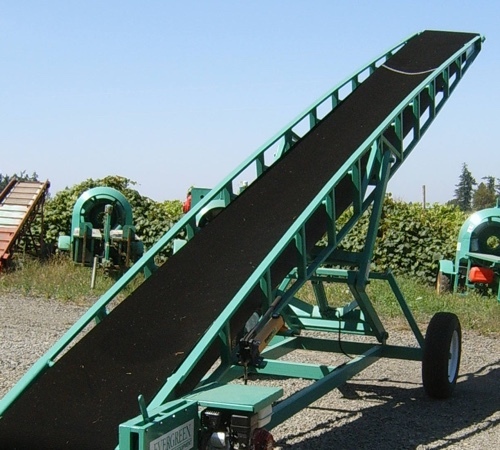 The Evergreen Heavy Duty Conveyor extends 18’ into a van or over the side of flatbed for loading. Exclusive twin hydraulic scissor lift for infinite height adjustment. Belt “V” design and guide rails prevent loss of load. 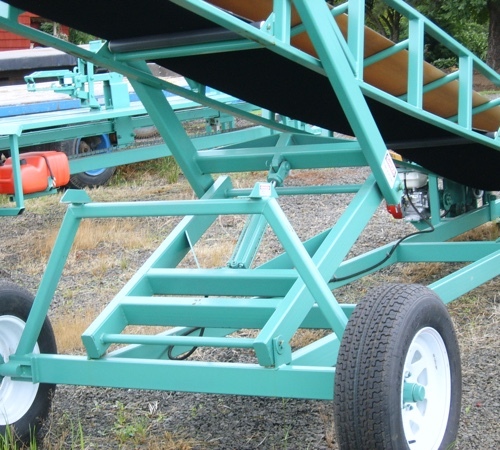 Exclusive transport system allows for quick rotation of front axle for highway towing. Infinite speed control for non-stop loading.